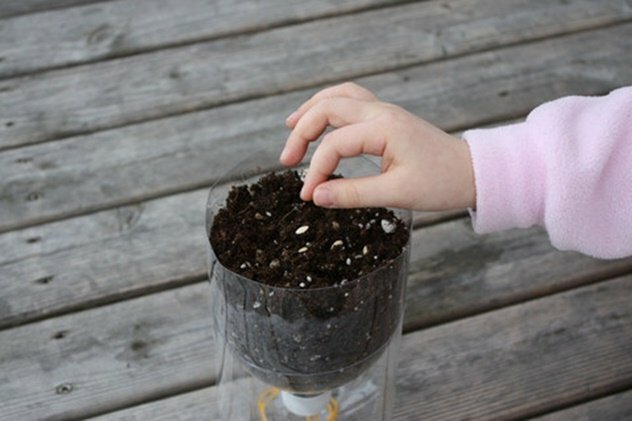 If you’re new to growing your own produce, this DIY Self-Watering Seed Starter Pot Planter will help a lot. 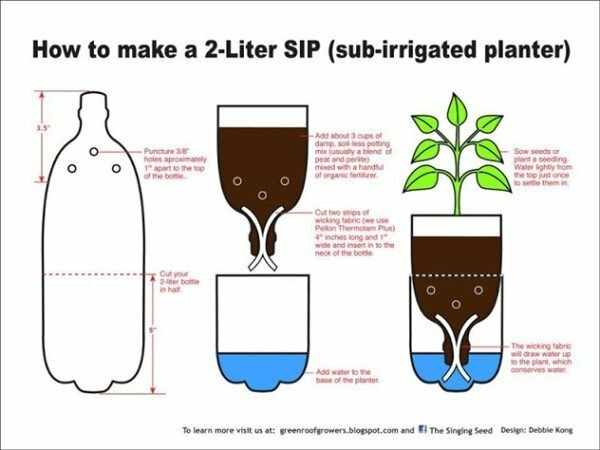 You can easily see when you need to replenish the water source, and because of this you’re sure that your plants are watered with the right amount at the right time. 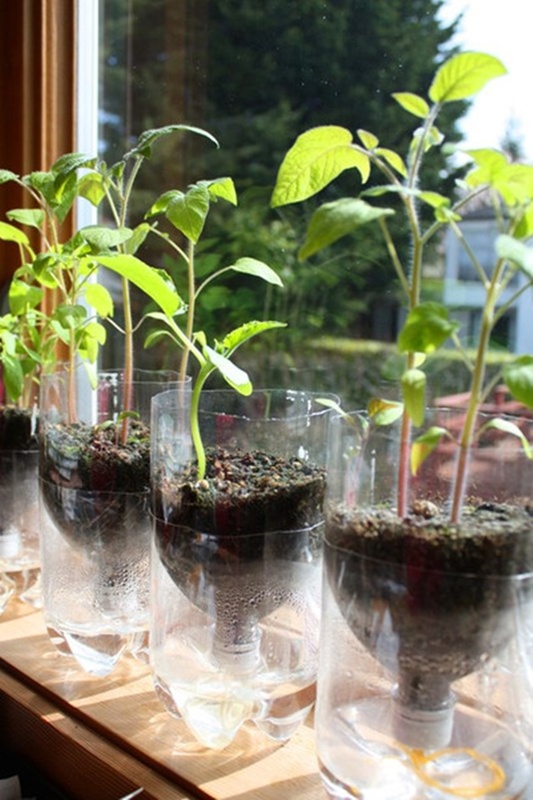 It’s also much better to water from the bottom rather than the top since fungus and mildew can easily kill or weaken your seedlings if the moisture stays around too long. 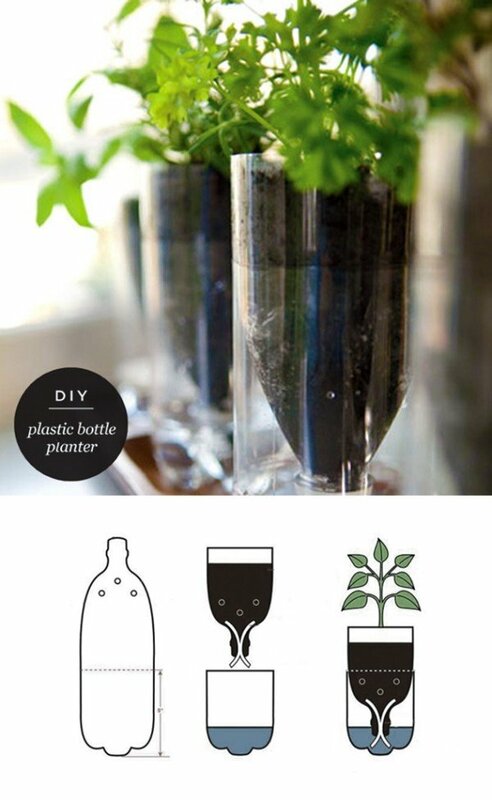 Don’t have plastic bottles to recycle? 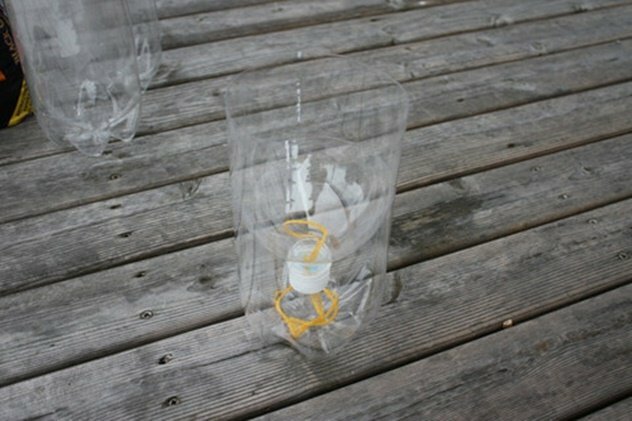 You can also use glass ones like wine or Gatorade bottles, or mason jars and anything that will fit those jars which are shaped like a funnel. 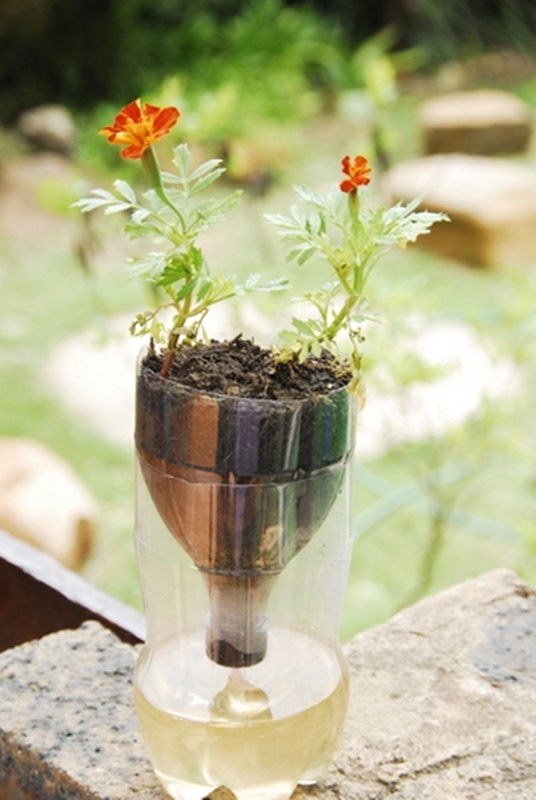 What we like even more about this DIY seed starter pot planter is that it would fit most window sills at home, especially in the kitchen. 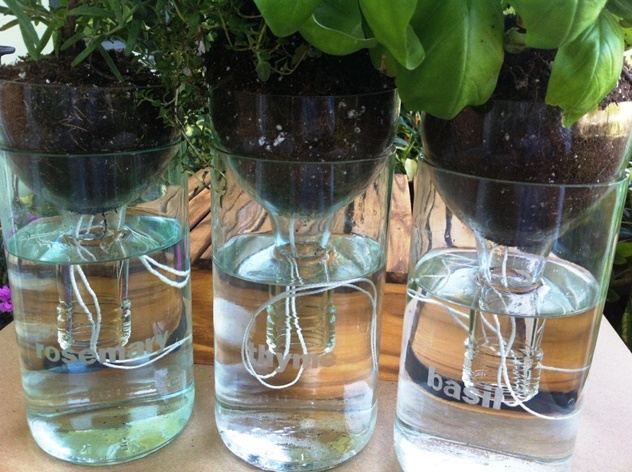 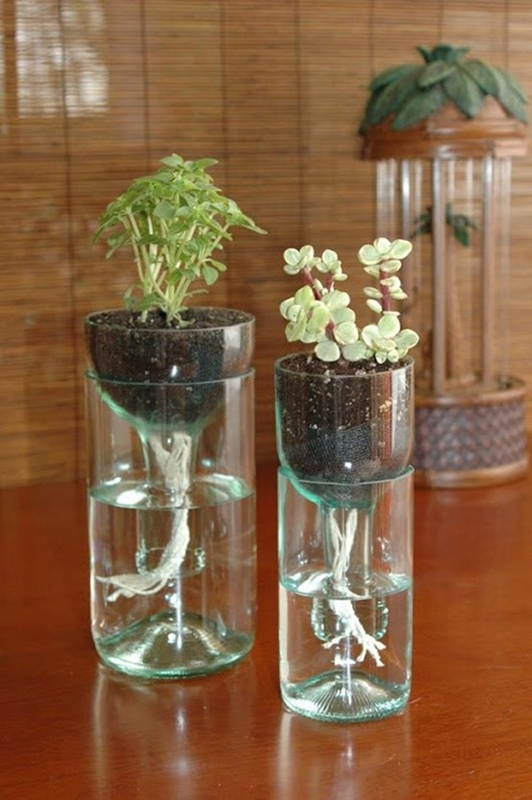 If you are in the mood to make beautiful, designed bottle planters it can also serve as your green indoor decoration.